Teach America—a program that recruits recent college graduates to teach in the nation's most troubled schools, often in rural areas—is having trouble finding interested candidates, Motoko Rich reports for The New York Times. Applications are down by about 10 percent this year, the second year in a row the program has seen a decrease in candidates, forcing Team America to close two of its eight training centers. 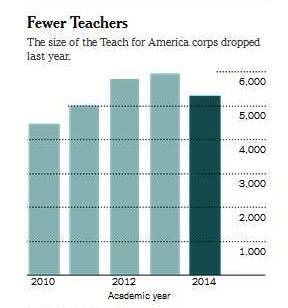 Overall, fewer college graduates are going into teaching, with the number of student candidates enrolled in teaching training programs falling by 12.5 percent from 2010 to 2013, according to federal data, Rich writes. "But Teach for America’s belief that new college graduates can jump into teaching without much training, as well as its ties through prominent alumni to the testing and standards movement, may also be taking a toll, driving away the kind of students the program once attracted." May told Harland, "It’s important not to overromanticize the region, to not only photograph these wisened mountain mothers and old bearded men who look like they’ve worked with their hands for 60 years. There’s a whole Appalachia that I think has been unreported. One of the things I hoped this project would bring about is a balanced view of a place." "If you Google 'War on Poverty,' you’ll be inundated with images of Appalachia," May told her. "There are all these photos that circulated in the late ’60s that were used to illustrate the need in pockets of Appalachia. I think they somehow went on to visually define an entire region, however unfair that may be. And they were perpetuated by these other stereotypes, like holler dwellers and moonshiners." "We started becoming inundated with photographs of broken-down cars and rail-thin kids out gathering coal by hand," May said. "I’m in no way saying those things didn’t happen or weren’t true at some level; it’s just that when Life magazine in January of 1964 published a 12-page spread on Eastern Kentucky, it was pretty heavily embellished with pictures of extreme poverty. I think the word 'shack' was used near half a dozen times in the captions for those images." 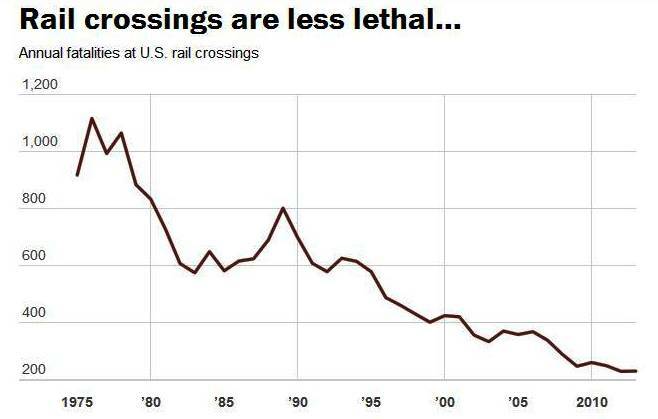 Despite six deaths this week at a railroad crossing in southeastern New York, railroad crossings have become safer in recent years, with deaths at railroad crossings dropping from more than 1,000 in 1978 to 231 in 2013, Max Ehrenfreund reports for The Washington Post. The rate of accidents has also dropped during that time from 18 accidents per million miles traveled in 1978 to 2.8 in 2013. John Tulenko of PBS NewsHour told a compelling story this week about the rising number of West Virginia grandparents who must raise a second generation of children, especially in McDowell County—one of the nation's poorest countibes—where as much as 45 percent of children live apart from their mothers and fathers. 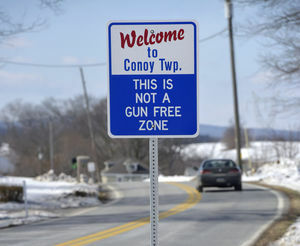 "This is coal country, with mines that once employed some 20,000 workers and a prosperous county seat they called Little New York," Tulenko reports. "All that’s gone. Unemployment rates here are among the highest in the state, and McDowell County (FamilySearch map) ranks first in poor health, child poverty and drug overdose. And that, more than anything else, is what accounts for so many children living apart from their parents." Jamie Mathis, who is raising both of her grandsons in McDowell County, told Tulenko the reason she is raising her children's children is because of "drugs and alcohol, confusion, parents not wanting to be parents. I just wanted the boys because I wanted to know that they were safe." In a move that could increase high-speed Internet availability in rural areas while also protecting small businesses, Federal Communications Commission Chairman Tom Wheeler on Wednesday proposed much more aggressive net-neutrality rules than expected, saying that rules will place "broadband Internet providers such as Comcast and Verizon Wireless under a stricter regulatory regime" that will ensure consumers have access to an open Internet, Brian Fung reports for The Washington Post. FCC is expected to vote on the rules on Feb. 26. Broadband Internet providers and supporters immediately labeled the rules unnecessary and vowed to fight the rules, Roger Yu and Mike Snider report for USA Today. Verizon's deputy general counsel Michael Glover called the proposed rules "unnecessary because all participants in the Internet ecosystem support an open Internet. It is counterproductive because heavy regulation of the Internet will create uncertainty and chill investment among the many players." 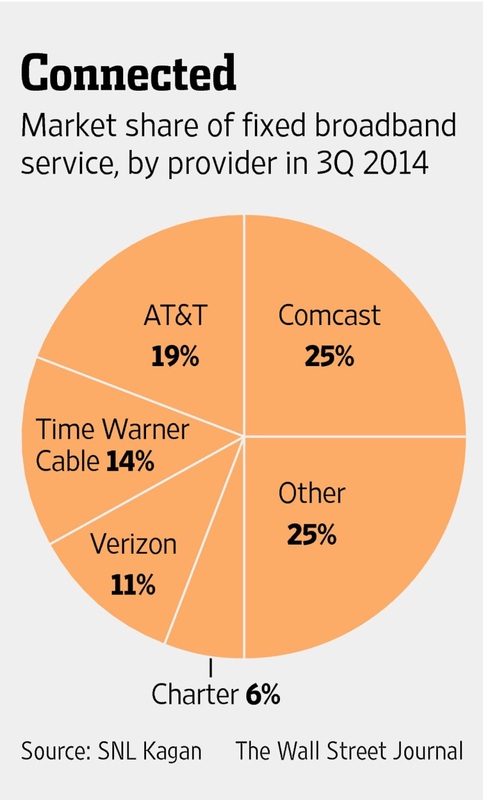 But supporters "say stringent rules are needed, because the cable industry is poised for consolidation and many consumers contend with local monopolies in broadband Internet service," Yu and Snider write. "Without specific rules, ISPs would be tempted to ban, slow down or seek payment from content providers that compete with a company that has an affiliation or is owned by the Internet provider, they argue. For example, Comcast, which is trying to buy Time Warner Cable, also owns NBC Universal, which has plans to expand streaming shows." One of the strangest things about Wheeler's aggressive approach is that only a few months ago he seemed ready to side with cable operators. That was before President Obama intervened, nudging Wheeler toward supporting a more open Internet, Gautham Nagesh and Brody Mullins report for The Wall Street Journal. "The prod from Obama came after an unusual, secretive effort inside the White House, led by two aides who built a case for the principle known as 'net neutrality' through dozens of meetings with online activists, Web startups and traditional telecommunications companies," Nagesh and Mullins write. "Acting like a parallel version of the FCC itself, R. David Edelman and Tom Power listened as Etsy Inc., Kickstarter Inc., Yahoo Inc.’s Tumblr and other companies insisted that utility-like rules were needed to help small companies and entrepreneurs compete online, people involved in the process say." Manufacturers of wood heaters—used largely in rural areas—will soon be required to reduce emissions by two-thirds of current levels, Tim Devaney reports for The Hill. The Environmental Protection Agency on Wednesday released pollution rules that "will make wood heaters more efficient while also protecting public health." The rules "set the first-ever federal standards for hydronic heaters, wood-fired forced air furnaces, pellet stoves and a previously unregulated type of wood stove called a single burnrate stove," Erin Voegele reports for Bloomberg. "EPA estimates the rule will reduce fine particle and volatile organic compound emissions from heaters covered by the rule by nearly 70 percent, with carbon monoxide emissions reduced by 62 percent." The Kaiser Family Foundation is hosting a web briefing for journalists from 12:30-1:30 p.m. (EST) on Feb. 18. on key issues surrounding Medicaid expansion as part of federal health reform. Kaiser Medicaid experts Laura Snyder and Robin Rudowitz will discuss: Which states have expanded their Medicaid programs, and which states are actively considering it? What are the economic considerations facing states? Who stands to gain coverage in states that expand, and who gets left out in states that don’t? How has Medicaid eligibility and enrollment changed in states that expanded compared to states that didn’t? How do states apply for Medicaid waivers, and what’s in the already approved waivers? For more information or to register, click here. Republican leaders told top environmental officials on Wednesday that they should scrap proposed water rules that define what is and isn't a body of water, Chris Adams reports for McClatchy Newspapers. "In an unusual joint hearing involving the Senate Environment and Public Works Committee and the House Transportation and Infrastructure Committee, the Republican majority that now controls both houses of Congress showed it is intent on trying to derail the president’s environmental agenda in his last two years in office." Proposed rules have caused confusion from the start, with Republican lawmakers on Wednesday expressing "outrage at what they called a 'power grab,' while Democrats countered that opposition to the rule was built on a tower of misconceptions," Adams writes. Many Republicans and farmers fear the rules will expand Environmental Protection Agency jurisdiction over water rights, while EPA denies those claims. McCarthy "also emphasized that ditches and other areas with water in them would have to have a 'significant connection' with a navigable waterway to be subject to regulation," Brasher writes. She said, “The ditch issue drives me crazy as it does everyone else. We need to be very clear that we're not just respecting the current exemptions but expanding on those.” Brasher writes, "The promises to rework the rule—but lack of specifics as to what changes would be made—made it more difficult for Republicans to attack the rule during the hearing." Eastern Kentucky has lost nearly half its coal jobs since 2009, hitting a record low in 2014, Bill Estep reports for the Lexington Herald-Herald. And Western Kentucky—where the coal industry has been more stable—suffered a major blow with the recent closure of two Patriot Coal mines that employed 600 workers—or 14 percent of all coal jobs in the region. 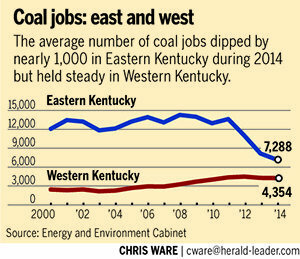 Western Kentucky lost only 16 coal jobs in 2014—the most recent closures will show up on first quarter 2015 statistics. 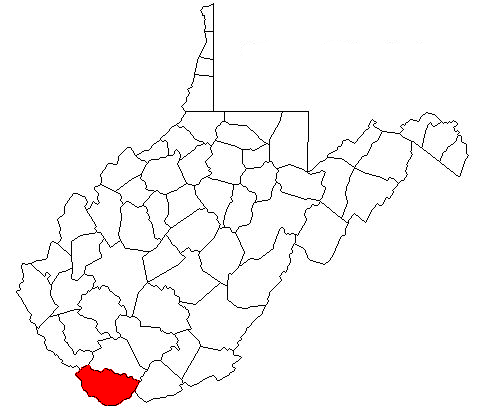 West Virginia and Pennsylvania have also been hit hard by closures and layoffs, with Patriot Coal and Alpha Natural Resources announcing layoffs and closures throughout 2014, Clement Daly reports for World Socialist Web Site. The coal industry blames its production cuts on low natural gas prices, regulations from the Environmental Protection Agency to cut emissions and high production costs at its mines, which has lead some companies to head West where production is cheaper. The Environmental Protection Agency has withdrawn a rule interpreting "waters of the United States" that would have regulated "which conservation activities provide farmers an exemption from Clean Water Act permitting," Janell Thomas reports for Farm Futures. "Many farm groups opposed the Interpretive Rule, which offered 56 'normal farming and ranching' exemptions under the regulations of the Natural Resources Conservation Service." Opponents "said using these practices as CWA exemptions would alter farmer-NRCS interaction and discourage environmental best practices," Thomas writes. "Historically, they have been voluntary, and the farming practices have been exempt from the permit process." The decision won't impact EPA's Clean Water Act rules, which are expected to be finalized this spring, even though Congressional Republicans are laying the groundwork for an effort to stop the proposed rules, reports Agri-Pulse, a Washington newsletter. "Julia Anastasio, executive director of the Association of Clean Water Agencies, an organization of state regulatory agencies, says that finalizing the WOTUS rule will likely trigger a court battle because any changes the administration makes are unlikely to satisfy the business interests that are worried about it." Agri-Pulse is subscription only, but a free trial is available by clicking here. The Obama Administration has shut down George W. Bush's $1.7 billion FutureGen 2.0 project designed to build a coal-fired power plant in Illinois that captures carbon and pumps it underground, citing lack of time to complete the project before federal funding expires in September, Timothy Cama reports for The Hill. "Congress authorized $1.1 billion toward the project in 2009 as a continuation of a 2003 project Bush proposed," Cama writes. The U.S. Department of Energy only spent about $200 million of the money authorized for the project. To vaccinate or not to vaccinate children has become a major issue among Americans, some of whom fear side effects or don't trust the government when it comes to vaccinations. The anti-vaccine movement has been spreading, despite scientific research that supports vaccinations and verified reports that misinformation—mostly in the form of a discredited paper and the belief of ill-informed celebrities—has furthered Americans fear in vaccinations. But apparently the U.S. doesn't have a monopoly on making money off rural stereotypes of poverty and lack of education. 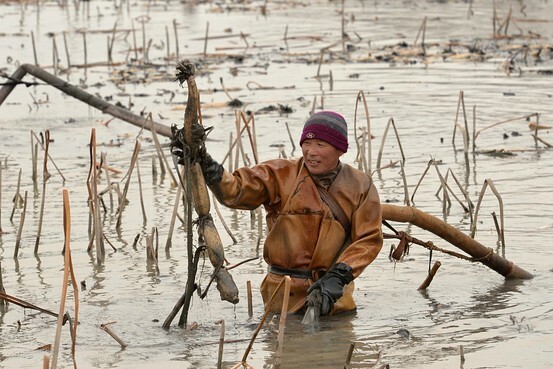 China's state media has asked TV producers to stop making the country's 900 million farmers seem so "miserable" and "ugly," Lilian Lin reports for The Wall Street Journal. "Once a beloved national staple, TV dramas featuring rural life hit peak popularity in the 1980s, just as China started its process of economic reform that fueled the creation of a new generation of the middle class," Lin writes. "More recently, though, their popularity has waned, with viewers these days preferring ancient costume dramas (preferably those with cleavage), those featuring urbanites or Korean and American TV dramas, often viewed via video streaming sites." "Among those TV productions with a rural theme remaining, said an article published Tuesday by Communist Party flagship paper the People’s Daily, many tend to present only a shallow image of such lives," Lin writes. "Specifically, most such shows largely reflect misery and the plight of the old and sick in the countryside. Alternately, they are comedic or romantic and ultimately rather shallow in nature, said Yin Hong, a Tsinghua University professor cited by the article." In December, China announced it was sending members of the entertainment industry to rural areas so they can "form a correct view on art." 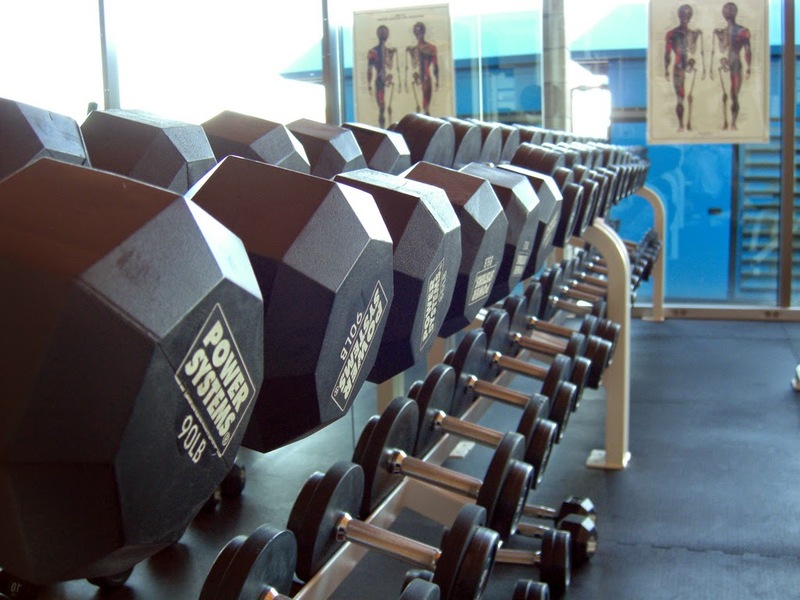 More churches are beginning to see health and fitness facilities as potential ministry niches, which can positively influence surrounding communities. Walnut Street Baptist Church in Louisville was a pioneer, building a six-story health facility including bowling alleys in the late 1950s and early 1960s, church consultant George Bullard told Jeff Brumley of Baptist News Global. Now health ministries have been "making a comeback as a variety of social and religious trends in America converge," Brumley reports. "There is absolutely an opportunity for new forms of church centered around fitness," said Travis Collins, the director of mission advancement and Virginia regional coordinator for Fresh Expressions US. Secular organizations that promote fitness often promote health-focused ministries and programs. For example, Houston-based nonprofit Health Fitness Revolution released a list of the 20 Fittest Churches in Texas. Samir Becic, the organization's founder, said, "Spiritual awareness is one of the key components of healthy lifestyle that impacts the whole body and rejuvenates the spirit." Many of the churches on the list have fitness classes, nutrition and senior programs and sports leagues. Some also have facilities for fitness and health. in our activities will have the opportunity to hear that Jesus Christ loves them and desires to have a personal relationship with them," the church website says. President Obama's proposed fiscal year 2016 budget, announced on Monday, proposes "$1 billion in new spending over the next five years to clean up abandoned strip mines and $2 million in tax credits aimed at spurring innovation on technology to capture carbon pollution from power plants," Ken Ward reports for the Charleston Gazette. "Obama’s proposal also includes $3.9 billion over 10 years to protect health and retirement benefits for retired coal miners, officials said." "Obama is also asking the Republican-controlled Congress to provide $56 million in new money for existing programs at the Appalachian Regional Commission, the Department of Labor and the U.S. Environmental Protection Agency to help laid-off workers and to assist coalfield communities with economic development," Ward writes. The White House said the effort, “Power Plus Plan,” was created "to invest in workers and jobs, address important 'legacy costs' in coal communities and drive development of new technologies." Distribution of funds "would be based on factors such as unemployment rates and the potential to link reclamation of land and polluted water to job-creating strategies, according to the White House," Bill Estep reports for the Lexington Herald-Leader. "One example people in the region cited Monday would be planting trees on sites left largely barren by surface mining that happened before 1977." Justin Maxson, president of the Mountain Association for Community Economic Development, said that work "could create a significant number of jobs relatively quickly while also restoring the environment and building the base for an improved wood-products industry in the long term." Speaking of the budget Maxson told Estep, "I think it's a huge opportunity for Appalachia." One issue avoided during the release of the budget was Obama's comments during the landmark 2013 climate-change speech at Georgetown University, in which he said, "We’re going to need to give special care to people and communities that are unsettled by this transition—not just here in the United States but around the world. And those of us in positions of responsibility, we’ll need to be less concerned with the judgment of special interests and well-connected donors and more concerned with the judgment of posterity. Because you and your children—and your children’s children—will have to live with the consequences of our decisions." The Federal Communications Commission will release net-neutrality rules on Thursday proposing that the agency regulate high-speed Internet as a public utility, a move that could benefit rural areas, Gautham Nagesh reports for The Wall Street Journal. FCC last week took steps toward bringing faster high-speed Internet service to rural areas by increasing the definition of broadband speeds. Republicans "have pitched an idea that would enforce basic open Internet rules but could strip the FCC of its ability to help local municipalities build their own broadband," Anne Flaherty reports for The Associated Press. "It's a nonstarter for Obama and congressional Democrats who say poor and rural areas have been left behind in the deployment of high-speed Internet." Under the proposed rules, instead of "regulating broadband firms lightly, as has been its practice so far, the FCC would treat them like telecommunications companies and subject them to more intrusive regulation, especially in areas relating to how they manage traffic on their networks," Nagesh writes. "A central element would be a ban on broadband providers blocking, slowing down or speeding up specific websites in exchange for payment, these people say. Supporters of the FCC’s position say allowing some websites to pay for faster access to consumers would put startups and smaller companies at a disadvantage." 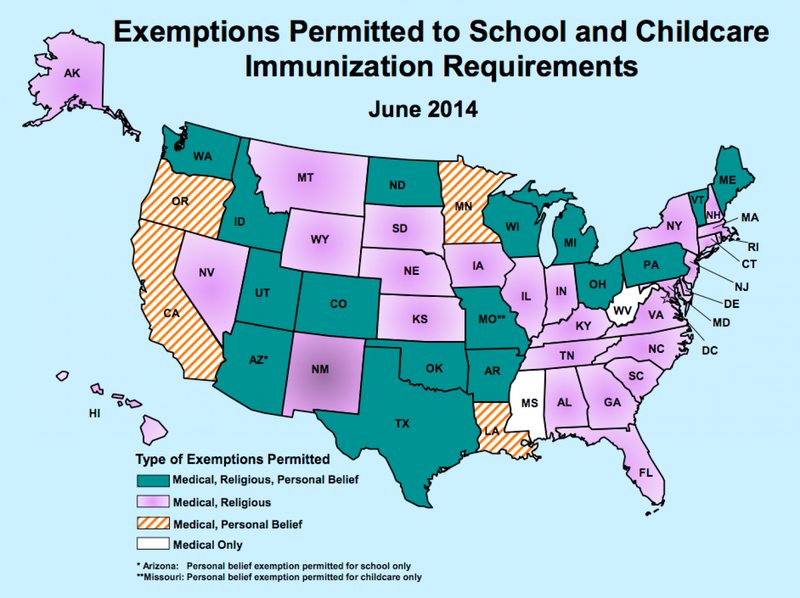 The anti-vaccine movement continues to flourish in the U.S. Many people say they fear side effects or don't trust the government. A recent survey by the American Association for the Advancement of Science and Pew Research Center found that only 68 percent of the general public believes parents should be required to vaccinate children, compared to 86 percent of scientists. Refusing to vaccinate children is unnecessarily spreading preventable diseases and costing the health sector thousands of dollars spent on cases that could have prevented with a vaccine, John Wihbey reports for Journalist's Resource. 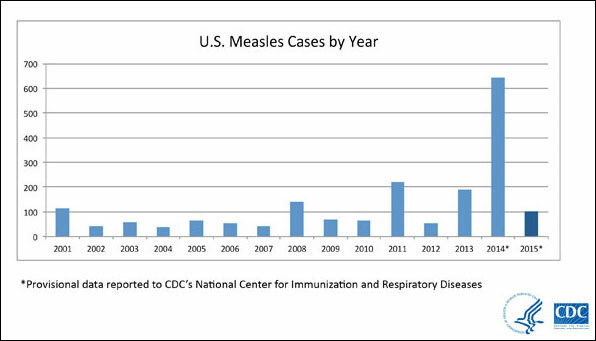 While those numbers might still seem high, it is estimated that measles outbreaks cost $10,000 or more per case, Wihbey writes. But because of the potential for measles to spread, outbreaks cost "$25,000 or more because of a single case in Kentucky; more than $140,000 and 2,500 hours of public health workers’ time for three cases in Iowa; and an estimated $800,000 to investigate 14 cases in Arizona, all related to a single contagious traveler from Switzerland in 2008." Why non-compliance? A 2014 report from the American Academy of Arts and Sciences says: "Over the past two decades, a combination of fraudulent scientific studies, irresponsible reporting and well-meaning but misinformed citizen activists has led to a steady increase in the proportion of parents who have concerns about the recommended childhood vaccine schedule. While overall vaccine uptake rates in the United States remain high, these concerns have resulted in a significant expansion in the number of parents who are delaying—and in extreme cases even refusing—vaccines for their children." Climate change could be a key factor in the 2016 presidential election, with 67 percent of people saying they wouldn't vote for a candidate who believes human-caused climate change is a hoax, says a poll by The New York Times, Stanford University and the nonpartisan environmental research group Resources for the Future, Coral Davenport and Marjorie Connelly report for the Times. The poll, which was conducted from Jan. 7-22, included 1,006 adults. "The poll found that 83 percent of Americans, including 61 percent of Republicans and 86 percent of independents, say that if nothing is done to reduce emissions, global warming will be a very or somewhat serious problem in the future," Davenport and Connelly write. "And while the poll found that 74 percent of Americans said that the federal government should be doing a substantial amount to combat climate change, the support was greatest among Democrats and independents," with 91 percent of Democrats, 78 percent of independents and 51 percent of Republicans saying the government should fight climate change. The Vermont Law School is offering Summer Media Fellowships featuring courses on ethics and environmental justice, international environmental issues, pollution, energy development and climate change, agriculture and food policy and land use and conservation, says a news release. The fellowship is open to full-time online, print and broadcast journalists who cover the environment, natural resources, energy, legal affairs, public health and other environment-related issues. Participants will a​udit one two-week course between June and July, receive a $1,250 stipend, free housing, free books and a tuition waiver, said the release. Family members are invited to join participants. The deadline to apply is March 2. Applications should include a résumé, two work samples and an essay of up to 400 words describing the applicant's interest in the program. Applications can be sent to Maryellen Apelquist. For more information, click here. A huge gap exists between results concluded by scientists and the opinion of the general public when it comes to issues such as vaccines, animal research, genetically modified food and climate change, says a survey released on Thursday by the American Association for the Advancement of Science and Pew Research Center, writes Cornell University environmentalist Mark Lynas for The Washington Post. One year after a Duke Energy coal ash spill dumped about 82,000 tons of ash into the Dan River in North Carolina, prompting a debate about safety regulations and who was responsible for paying for the clean-up, the News & Record in Greensboro, N.C., has released an eight-part series, "The Day The River Turned Gray," examining the spill and the resulting aftermath of the event. "At 6 that morning, a guard at the Duke Energy plant made his rounds and noticed that the coal ash ponds by the river were iced over," Taft Wireback reports in the first story of the series. "That’s all—nothing dramatic or unusual for a cold February dawn." "But eight hours later, on that Super Bowl Sunday, that same guard checked again and did a double take. 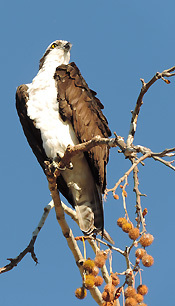 The water level in the larger of the two ponds looked suspiciously low," Wireback writes. "By midnight, a platoon of environmental experts was on the scene at the Dan River Steam Station, trying to staunch the third-largest coal ash spill in U.S. history. The U.S. Environmental Protection Agency would later describe what happened that day at the retired power plant near Eden as the 'sudden collapse' of a drainage pipe running under the main pond." "But the problems that led to that collapse were years in the making: years of coal fired power production at the riverside power plant; years of burnt coal waste accumulating in the nearby ponds; years of corrosion and seepage eating a seam into a vulnerable metal pipe beneath 1 million tons of coal ash; years of Duke Energy giving short shrift to early warnings from engineers about that very pipe; and years of state officials not always holding utility executives to high-enough dam safety standards," Wireback writes. 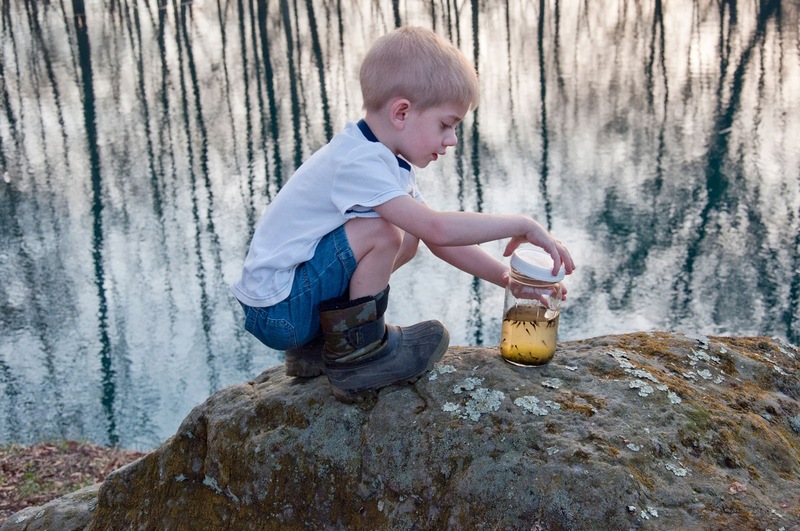 Dan River Coal Ash Disaster: Is the water safe to drink? Dan River Coal Ash Disaster: Did Duke Energy downplay severity in spill notification? Last month a release by the Japan Meteorological Agency and a joint release by NASA and the National Oceanic and Atmospheric Administration called 2014 the hottest year on record. The United Nations’ World Meteorological Organization has now weighed in, saying in a statement today that last year was the warmest year since records have been kept, Chris Mooney reports for The Washington Post. 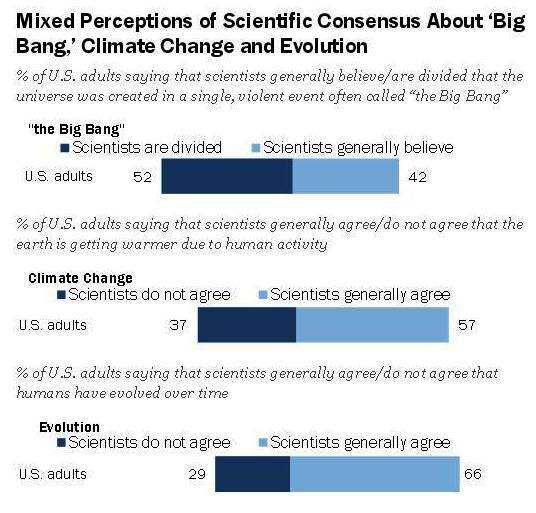 "That means that nearly every top science agency that has examined this question agrees with the conclusion," Mooney writes. The Hadley Center in Britain said in its release that 2014 temperatures were too close to highs in recent years to accurately call it the hottest year on record. The Consumer Financial Protection Bureau has proposed changes "to its mortgage rules to encourage responsible lending by small creditors in rural areas, that if approved could increase the number of small institutions able to offer mortgages and help small creditors to comply with business practice rules set forth by the agency," Ashlee Kieler reports for Consumerist. "Currently, there are restrictions on lending mortgages to borrowers whose debt would exceed 43 percent of their pretax income," Kieler writes. "The proposed changes would free more banks and credit unions to offer riskier loans to borrowers above this 43 percent debt-to-income ratio. As a result of that change, the CFPB says it could increase the number of small lenders, which includes banks and credit unions, to 10,400 from around 9,700." The CFPB proposal "would allow more banks and credit unions to achieve small-lender status, freeing them to make riskier loans by giving mortgages to borrowers above the 43 percent threshold," Alan Zibel reports for The Wall Street Journal. "Small lenders and many in the mortgage industry say the riskiness of such mortgages is limited, in part because they will have to hold these loans in their investment portfolios. The firm would be on the hook for the losses when borrowers default, giving the banks an incentive to make only good loans." The survey also found that 66 percent of respondents "said they do not provide loans that are outside the Consumer Financial Protection Bureau’s Qualified Mortgage definition or would only do so in special cases," Garrison writes. "Just 25 percent of community bankers said they are providing loans that do not fit the CFPB’s QM definition, showing that the new restrictions have shrunk the credit box and taken away lender discretion in granting credit. Meanwhile, half of all rural banks said they do not qualify for the QM rule’s 'rural' exception, which demonstrates that exemptions from the standard are too narrow, limiting access to credit for consumers who need it." The forest industry is crucial to several states, accounting for thousands of jobs while providing billions of dollars to the state's economy. Yet, it's an industry that flies under the radar. In Oregon, the forest sector accounts for about 58,000 jobs and $12.7 billion to the economy. The forest industry in Pennsylvania includes about 90,000 jobs and $5.5 billion in annual revenue. And in Washington, where half of the state is forested, the industry creates 107,000 jobs and $4.5 billion in annual wages. Overall, one-third of the U.S. is forested—175 million acres—with 60 percent privately owned and 91 percent of wood harvested in the U.S. coming from privately owned land. Other states not commonly known for timber are also thriving off the industry. The forest industry in Kentucky, which employs 51,000 people and accounts for about $12.8 billion in revenue, "is grow­ing again today with a recover­ing U.S. housing market and the rising global thirst for spirits aged in wood barrels," Gary Wollenhaupt reports for The Lane Report. "Meanwhile, it has cultivated a more energy efficient and environmen­tally sustainable culture of operations." "The industry directly employed 27,574 in 2013, up 4.6 percent since 2011, and the forestry and wood products sector accounts for about 3 percent of the state’s workforce," Wollenhaupt writes. "The industry directly accounted for $7.9 billion of the state’s gross domestic product, an increase of 2.9 percent from 2011, similar to the state’s tourism industry. That economic impact was generated by 703 facilities in 110 of Kentucky’s 120 counties, including a wide range of indus­tries from logging and sawmills to cabinet manufacturers and paper producers." Upset about a story written by a local reporter alleging an open meeting violation, a white official in Augusta County, Virginia, (Family Search map) referred to the African American reporter as "boy" last week during a public meeting, Megan Williams reports for The News Leader. "At a staff briefing (Jan. 26) Augusta Supervisor Tracy Pyles told News Leader government reporter Calvin Trice, 'You got it wrong, boy—uh, son.' Four other supervisors at the meeting either said they didn’t hear Pyles or wouldn’t comment. However, Pyles admitted to referring to Trice as 'boy' and called it an 'error,'" saying that he refers to everyone like they're his sons, including reporters. "The Rev. Mildred Middlebrooks, a Waynesboro NAACP president for 27 years, said the slur by Pyles was an example of how racism is still alive," Williams writes. Middlebrooks told her, “The term ‘boy’ has been in usage for such a long time. There are some things that die, and there are some things that seem to be like the phoenix bird that have a rebirth whenever the person using the term . . . has a sense of big-headedness, power.” Middlebrooks "said that for a black man to be called 'boy' in 2015 begs the question of how far we’ve come in racial relationships." Middlebrooks told her, “Especially if an elected official is harboring these kinds of thoughts."